There are two types of surveys. One is the pre-purchase survey, and the other is the insurance survey. A pre-purchase survey is commissioned by a prospective boat buyer. Its primary purpose is to confirm representations made by the seller to the buyer as an inducement to purchase, and to identify as far as possible any unknown conditions or defects that affect safety, seaworthiness and value. Because the buyer is unfamiliar with the vessel and its history of use and operation, the pre-purchase survey will involve many personal judgement factors on the part of the surveyor, including cosmetic condition and opinions relative to condition and suitability-for-purpose. Prior to issuing a liability and casualty insurance policy for pleasure craft, virtually all insurance underwriters will require the applicant to submit a survey report about the boat. The survey report will accompany and be part of the application for insurance. Application for insurance can occur at the time a boat is first purchased, or it can occur with policy renewal after 5 – 7 years of boat ownership. An insurance survey is generally more limited in scope than a pre-purchase survey. At purchase time, a buyer wants to know as much as possible about the boat before committing to the purchase. An insurance company wants to know the boat isn’t going to sink, catch fire, or create a liability issue in operation. An existing owner is less concerned with cosmetic condition and fitness-for-purpose issues and more concerned with safety and seaworthiness issue. Surveyors perform both pre-purchase and insurance survey inspections. Surveyors are independent small business people. While Homeowner’s liability and casualty insurance is not conditioned on the findings of the home inspection, liability and casualty insurance for pleasure craft is often conditioned on the findings of the boat survey. Home inspectors assess a residence or building against national, state and municipal building codes and workmanship standards. Surveyors assess boats for conformance to established and accepted marine safety standards and workmanship practices in an effort to identify real or potential seaworthiness and safety issues, and to assign a monetary “value” to the boat. For boats, the principle safety and seaworthiness standards used in the U. S. to assess the boat are USCG requirements for Pleasure Craft and the collected works of the American Boat and Yacht Council (ABYC). To assess market value, multiple marketing sources are normally consulted. Establishing market value can be very subjective, particularly in unstable markets or with custom or unusual boats. The “judgement and experience” of the individual surveyor will be significant contributors to risk and market value assessments. I do not in any way advocate incomplete or misleading reporting of true, factual safety or seaworthiness issues about any boat. However, I do believe that boat owners who commission survey reports are entering into a business transaction with a surveyor that should always be professional and fair to all interested parties. Obtaining boat insurance should be based on correct and true representations by all parties. It has been my experience that there is sometimes the appearance that a surveyor might place their ongoing relationship with insurance underwriters above their one-time relationship with individual boat buyers/owners. I offer the following thoughts in the hope that any appearance of undue allegiance between the surveyor and the insurance industry can be neutralized and overcome in an honest and mutually satisfactory way with careful and considerate up-front dialog, prior to the start of the survey. an assessment of the “market value” of the boat as it exists in its current condition. 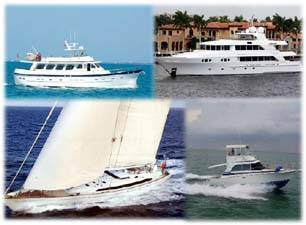 the underwriter will base the insured value of the boat on the surveyors assessment of market value. Whenever possible, qualify and hire the surveyor yourself. This means you are the surveyor’s client. It also means the work product (survey report) becomes your personal property, to share or keep confidential, as you determine is in your best interest. In qualifying a surveyor, select a surveyor with professional certification from one or more of the certifying organizations. Get references and referrals from trusted personal sources, if possible. In advance of contracting with a surveyor, agree on the scope of the survey. A pre-purchase survey is intended to provide you with all kinds of qualitative information and judgements. An insurance survey is about safety and seaworthiness. These purposes are not the same, nor are they intended for the same use. If you are buying a pre-purchase survey, agree that the surveyor will produce a separate report limited to safety and seaworthiness findings to be used in obtaining insurance. Judgements and opinions on non-safety and seaworthiness items are important to you, but unnecessary for other (marine insurance underwriter) audiences. In advance of the survey, agree with the surveyor that you will have the right to negotiate the language of the final survey report. This is not for the purpose of omitting or misstating findings, but for the purpose of presenting context. For example, the mere presence of a non-conformity does not make it a safety or seaworthiness risk. If an electrical item is reported as non-conforming, but the item is found to be of good workmanship, is well maintained, in good condition, working properly, has no evidence of contamination, then the surveyor’s report should contain that qualitative assessment together with the non-conformance itself. Without context, the underwriter will assume the non-conformity is a potentially serious risk, and will ask you to correct it. With the context, the risk assessment is no worse than a conforming installation. but in any case, the boat owner is entitled to know what type of corrective action is needed for the condition that the surveyor has cited. In advance of an insurance survey, agree that routine maintenance items and routine cosmetic items will be out-of-scope of the survey report. I had a finding once that the boat did not have a compass deviation card. The finding was correct. And meaningless. In the same survey, I had a finding that the air filter on the engine was dirty and needed replacement. The finding was correct. And meaningless. I had a finding that the hot water heater’s heating element was not working. The finding was incorrect. And meaningless to an insurance survey report. Your survey needs to focus on the real safety and seaworthiness non-conformances and not on the meaningless. We’re not paying the surveyor by volume of findings or pages of report. In advance of the survey, agree the forms in which the report will be delivered. I prefer delivery in electronic form, in both Adobe .pdf and either Microsoft .doc or .xls format. I use the spread sheet .xls format to track to-dos that I have to resolve for the insurer.